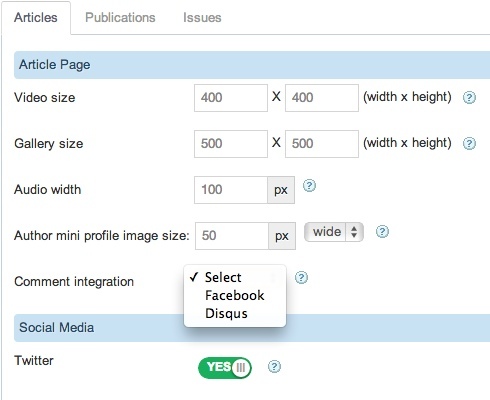 Allow your readers to comment on the articles using Facebook or Disqus. 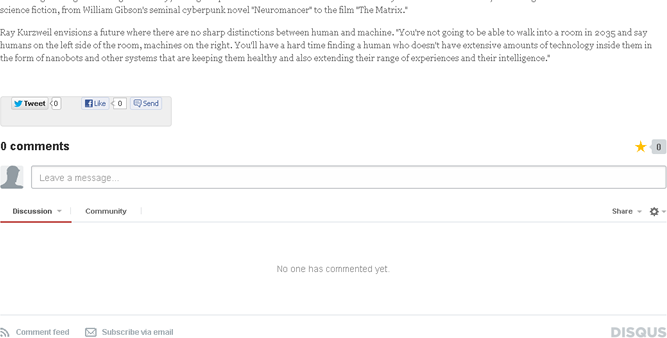 Publisher is integrated with 2 of the most popular commenting system: Disqus and Facebook. If you choose Disqus, then you'd need to have an account with them first before you can use it and then enter your disqus sub domain to be able to utilize the different features.